As you can probably tell with the frequency of posts on the subject, I’m catching up on my New Yorker issues. The New Yorker is my favorite magazine and I hope it solves its business problems so it can remain viable. Call me crazy, but great journalism has to have a few wins, right? 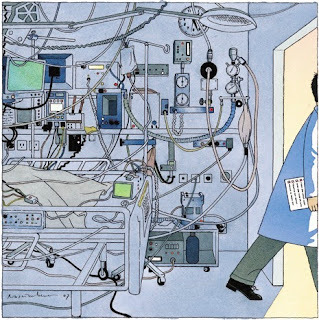 In the December 10th episode, Atul Gawande wrote a fantastic article on how intensive care units are trying to improve survival rates. I invested in Life Sciences companies before Kellogg and even interned at Becton Dickinson, a company that makes and sells a lot of hospital products. Those experiences taught me how deeply care providers and really anyone in the Life Sciences industry cares about patients. Folks, they care about their jobs and the good they do on a daily basis more than many of us could ever imagine. Talk about complexity! Gawande compares this to the complexity an airplane pilot faces and says that would be like a pilot knowing how to fly 32,000 different airplanes. Wow. However, rolling the checklist out across the country is incredibly difficult given the way government Healthcare delivery organizations are setup. If it was a new drug, there would be reps pounding down the doors of physicians, and company execs calling on insurance companies and hospital administrators. This is the crushing part of Healthcare delivery, it’s difficult to get attention and those on the front lines are often disconnected, doing their best to triage the situation.